Jock Talk with Charlie Woods Jr.
HRRN's Jock Talk show, episode #139. Presented by Tito's Handmade Vodka. 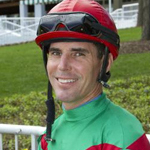 Kristina McManigell spends an hour with jockey, Charlie Woods Jr.
Read more about Jock Talk with Charlie Woods Jr.
HRRN's Jock Talk show, episode #137. Presented by Tito's Handmade Vodka. 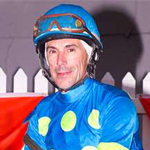 Kristina McManigell spends an hour with jockey, Craig Perret. HRRN's Jock Talk show, episode #136. Presented by Tito's Handmade Vodka. 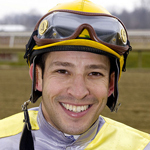 Kristina McManigell spends an hour with jockey, Jeremy Rose. 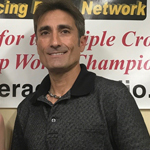 HRRN's Jock Talk show, episode #135. Presented by Tito's Handmade Vodka. 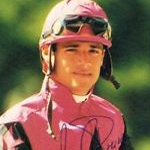 Kristina McManigell spends an hour with jockey, Mario Pino. 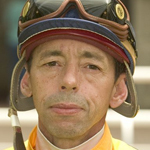 HRRN's Jock Talk show, episode #134. Presented by Tito's Handmade Vodka. 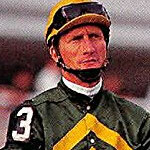 Kristina McManigell spends an hour with jockey, Mark Guidry. HRRN's Jock Talk show, episode #133. Presented by Tito's Handmade Vodka. 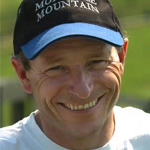 Kristina McManigell spends an hour with legendary jockey, Steve Cauthen. HRRN's Jock Talk show,. Presented by Tito's Handmade Vodka. 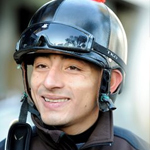 Kristina McManigell spends an hour with jockey, Jose Ferrer. HRRN's Jock Talk show, episode #131. Presented by Tito's Handmade Vodka. 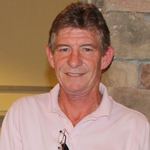 Kristina McManigell spends an hour with jockey, Chris Emigh.